What is different between what we have been doing and the new Towards Zero approach? Is the goal of zero deaths achievable in Victoria? Why Towards Zero now and not ten years ago? What is the aim of the 'Man on the Street' ad? Is Francisco an actor? How did they know he would say '70'? How did they get 70 members of his family and friends together to shoot the ad? What is the aim of the 'Then & Now' ad? What is the background and thinking behind the ad? What are the key differences between the old and new ads? What is the 'Then & Now' ad asking people to do? Why was the Volkswagen Tiguan chosen for the safe car in the 'Then & Now' ad? The ad says that people will always make mistakes. Does how people behave on the road still matter with the improvements made to safer roads, vehicles and speeds? I've heard people call flexible barriers "cheese graters". Are the barriers dangerous for motorcycles? How does driving a five-star rated car make a difference to road safety? How do safe roads help in reducing deaths and serious injuries? I've seen pot holes and other hazards while driving. Why aren't they being fixed? How do safe speeds help in reducing deaths and serious injuries? Does retesting make people safer drivers? Do defensive driving courses make people better drivers? How can I help a Learner driver master the basic skills and gain enough experience? What does the TAC charge as part of my vehicle registration go towards? Why does the TAC spend money on sponsorship and marketing? Who is Graham and what is the Meet Graham project? Towards Zero is the philosophy that underpins the way Victoria now approaches road safety. It is built upon the belief that human health is paramount to all else and that no one should die or be seriously injured when using the road. Towards Zero acknowledges that people will always make mistakes and that people are vulnerable – as humans we have a limited physical tolerance to impact speeds above 30km/h. To achieve zero deaths and serious injuries on the roads, we need to build a road system consisting of safe roads, vehicles, speeds and people that can protect our vulnerable bodies and from mistakes. This is a shared responsibility between everyone in the community. Towards Zero was originally based on Sweden's Vision Zero. Find out how we're working towards zero deaths and serious injuries in the Towards Zero 2016-2020 Strategy. Learn more about how the safer road system will get us Towards Zero. The key differences between what we have been doing and the new Towards Zero approach is summarised in the table below. What is the major planning approach? What is the appropriate goal? While crashes will happen in the future, we can build a system that protects us and our vulnerable bodies from being seriously injured or killed. In 1970, Victoria recorded the highest number of road deaths at 1061. Then, it would have seemed impossible to decrease the number of people killed on the roads, as the population grew and the number of cars on the road increased. However, in 2014, Victoria recorded one of the lowest numbers of people killed in recent times. What was once considered impossible has now become a reality. Once again we need a monumental change within the community about what is possible when we take positive action in order to achieve zero deaths on our roads. Towards Zero is about acknowledging the only ethical target to aim for is zero when it comes the number of people killed or seriously injured on our roads. We no longer accept that it's inevitable that people die or be seriously injured just because we have a road transport system. Countries such as Sweden and The Netherlands currently have a much better road safety record compared to Victoria. There is no doubt that Victoria can do more to improve road safety and with a systematic approach to improve roads, vehicles, speeds and people, zero road deaths is not impossible. It won't happen tomorrow, but we're confident that it is achievable in the future. Find out how we're working towards zero deaths and serious injuries in the Towards Zero 2016-2020 Strategy. Learn more about how we're Making Progress. Between four and five people in 100,000 are killed on Victorian roads each year. In the last ten years the number of people killed on our roads has been decreasing - 100 fewer people have died this year compared to 2005. With the exponential advances in technology and innovations in infrastructure available to us to make travel on roads safer, we know we can do more and think it's time for another monumental shift to bring that number down even further. Zero won't happen tomorrow, but we believe by embracing this approach today we can get there in the future. Learn more about Victoria's road trauma statistics. Towards Zero is about acknowledging the only ethical target to aim for is zero when it comes the number of people killed or seriously injured on our roads. We no longer accept that it's inevitable that people die or be seriously injured just because we have a road transport system. The ad is about developing awareness of Towards Zero as a shared responsibility in the Victorian community and showing the highly personal side to road trauma - there is no one someone won't miss. Watch the 'Man on the Street' ad. Francisco is not an actor; he didn't know his friends and family were waiting around the corner during filming. The week before, he was interviewed on the street in a vox pop situation (similar to this) where he was asked the same question - "Last year, 252* people died on our roads. What do you think would be a more acceptable number?" He was contacted to reenact his answer for what he thought was an in-house training video. In case Francisco said a greater number, there were a few extra people out the back ready to take part. *Please be advised the Road Fatality Review Panel revised down the number of lives lost on our roads in 2015 by five to 252. The ad has been updated to reflect the latest number of lives lost. How did they get 70 members of his friends and family together to shoot the ad? Shot in a single take, Francisco's genuine and arresting reaction to 70 members of his family and friends walking towards him was made possible because of his wife Charlene. Taking place on a Saturday, Charlene secretly organised for their loved ones to take part in the filming – revealing that secret was an emotional experience for her too. Using real people was integral to helping people understand that what we should be aiming for, and the only acceptable answer to the question in the ad is zero. As Francisco's father says, "When we think about a statistic, sometimes it doesn't mean anything. But when you talk about family and people that you love and care for, it makes a big impact." Watch the behind-the-scenes interviews with Charlene and Francisco's parents. 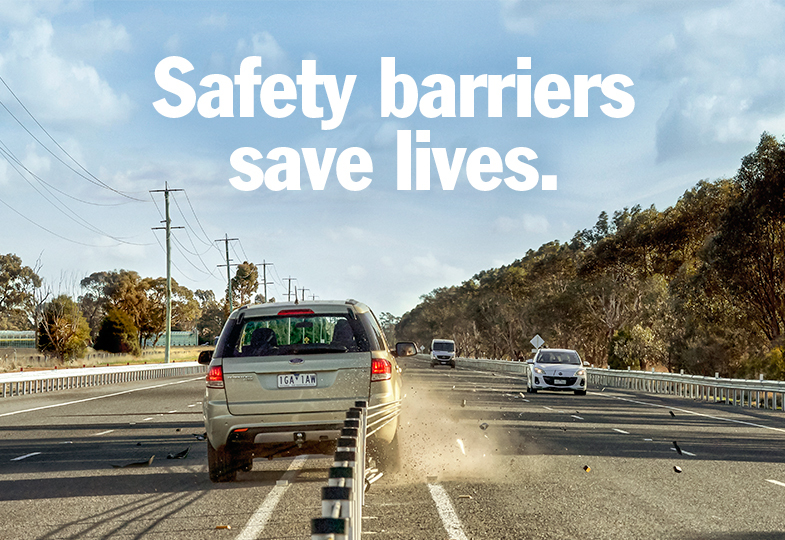 The ad aims to show how Victoria can reach zero road deaths and serious injuries by building a safer road system that involves safe roads, safe vehicles, safe speeds and safe people – a system that can protect people from the mistakes they make. This would require commitment and assistance from everyone in the community. The ad highlights how far Victoria's road system has evolved since the original ad, but we must keep improving as there are still people dying on our roads. If we can continue to improve the cars we drive, the roads we drive on, the speeds we drive at and our own behaviour, the goal of zero is possible. Learn more about the 'Then & Now' ad and how we're working Towards Zero. The new ad revisits an iconic TAC Kombi from the '90s. It shows that even when we try and do the right thing, mistakes can still happen. The couple in the original 1994 ad had driven through the night, while the couple in the new ad had made sure to get a good night's sleep, set off early the next day and take regular breaks. Attitudes to road safety have changed for the better in 20 years, and we need another monumental change in approach to get the number of road deaths and serious injuries down to zero. While the driver made the mistake of continuing to drive when he began to feel drowsy, he pulled over and swapped drivers when he realised he was not fit to drive. The driver and his partner shouldn't have to lose their lives because of a mistake. We have the ability to build a road system around them to protect people when things go wrong, and the ad shows how we can do this. through safer roads, vehicles, speeds and people. Learn more about the 'Then & Now' ad and Towards Zero. In the 1994 ad, the driver and his partner travels through the night on high speed, low quality roads in an old Kombi, before the driver falls asleep and crosses the centre of the road. He crashes into a truck and he and his partner are killed. In the new ad, the driver and his partner set off early in the morning for their journey after a good night's sleep, in a five-star safety rated vehicle. They pull over and swap drivers when they realise they are not fit to drive. While the roads are still 100km/h, they now have improved infrastructure such as barriers and tactile edge-lines that can prevent run off road and head-on crashes. The ad shows how a combination of safer roads, vehicles, speeds and people can prevent a fatal mistake. The 'Then & Now' ad is about sharing with the community what the Towards Zero approach is about. It's also about sharing the understanding that if we can build a safer road system that involves safe roads, vehicles, speeds and people, that can protect against mistakes, we can get Victoria to zero road deaths and serious injuries. Learn more about how we can contribute Towards Zero as people. The original ad filmed in the mid-90s featured a Volkswagen Kombi, and as the aim of the ad is to show how much things have changed since then, we used one of the current Volkswagen vehicles available to show how vehicle safety and technologies have evolved. Vehicle selection and campaign development took place several months before reports emerged about Volkswagen's diesel emissions concerns. We were unaware of environmental issues at the time, and we chose to use the Tiguan because the car's safety features were an integral part of the message. Learn more about safe cars and other vehicles. How people behave on the road still matters. The Towards Zero approach involves safe roads, vehicles, speeds and people. We can put in place safer roads, cars and speeds but we still need people to share the responsibility for keeping the roads safe and comply with the rules set out in order for the road system to work optimally. However, one of the key principles of the Towards Zero approach is that people make mistakes, despite our best intentions. Most people try to do the right thing on the road but even when we don't deliberately take risks such as drinking and then driving or speeding, mistakes can still happen. Everyone makes mistakes - even people who consider themselves to be good and safe drivers - and sometimes they can result in death or serious injury. People should not die or be seriously injured on the roads because they made a mistake and that is why a safer road system consisting of safe roads, vehicles, speeds and people is needed. Learn more about the safer roads, safer vehicles, safer speeds and safer people approach. There is no scientific research to show flexible barriers cause more deaths and serious injuries for motorcyclists. In Sweden, survey research shows no record of motorcycles being 'sliced' by the barriers. Instead they have seen a 40 – 50% reduction in risk for motorcyclists being killed since introducing wire rope safety barriers. In an incident often cited in this debate, the rider was calculated to have been travelling well over the speed limit when they left the road - between 148 – 190km/h. Flexible barriers pose a risk to motorcyclists because of their steel posts rather than the wire rope as commonly thought. (W Steel barriers also have this risk.) The posts are designed to bend for vehicles, but not people, and generally, motorcyclists will come off their bike and slide under the wire or into a post. As part of the Towards Zero 2016-2020 Strategy, popular motorcycle routes with flexible barriers are being fitted with padded posts and under-run protection to prevent riders from sliding underneath. Find out more about how flexible barriers work and the "cheese cutter" myth. How does driving a safe car make a difference to road safety? Not all cars are created equal and some cars are safer than others. Improving how well a vehicle protects people in a crash or how well it can avoid a crash in the first place has great potential in helping to reduce trauma on our roads. In the ad, we see how the fatigue detection alarm can help drivers stay safe on the road. Other safety features that can prevent crashes include Auto Emergency Braking, Electronic Stability Control, Lane Departure Warning, seatbelt pre-tensioners, airbags, side curtain airbags, crumple zones and Intelligent Speed Assist. Learn more about safer vehicles, five-star rated cars and vehicle safety technologies. Road infrastructure plays a vital role in helping reduce crashes and minimising the severity of injuries if there is an accident. 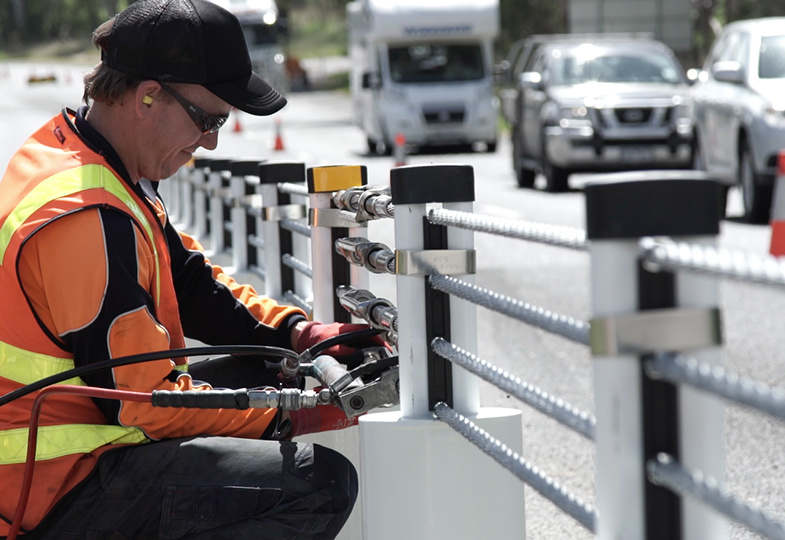 In the ad, the centre-line wire rope barrier which prevents head-on crashes was featured as an example of an initiative that can help make our roads safer. We agree that not all of Victoria's roads are as safe as they could be and as part of the Towards Zero campaign we're working on making them safer. Over the next ten years $1 billion is being put into the Safer System Roads Infrastructure Program to upgrade Victoria's highest risk roads. This will include Safe System treatments, like continuous wire-rope barrier and innovative intersection design, partial barrier and fully controlled right turn arrow at known high-risk crash locations, and developing safe cycling and pedestrian infrastructure. In the meantime, if you see unsafe conditions or hazards you can report them to VicRoads on 13 11 70. 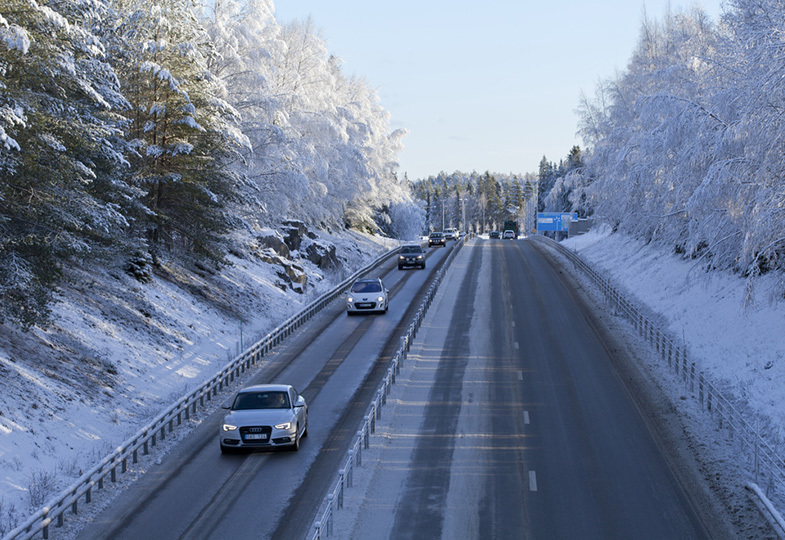 Most major maintenance work is done during the warmer months when weather conditions improve and the road is dry. Learn more about how we're working Towards Zero with safer roads. I've seen pot holes, broken wire rope barriers and other hazards while driving. Why aren't they being fixed? VicRoads regularly inspects the road network and maintenance work is carried out all year round as required, however VicRoads may not be aware of new hazards that arise. If you see unsafe conditions or hazards you can report them to VicRoads on 13 11 70 or fill in this form on their website. Most major maintenance work is done during the warmer months when weather conditions improve and the road is dry. For our fragile bodies, even a small difference in speed can mean the difference between life and death. That is why it is important to ensure the speed limits on our roads are set appropriately and for people to travel at safe and legal speeds appropriate for the road's conditions. In the ad, the speed limit of the road was set at 100km/h due to the presence of the centre-line flexible barrier that can prevent head-on crashes. Learn more about how safer speeds prevent crashes on our roads. Does retesting drivers make people safer drivers? At various times the TAC has looked into whether driver re-testing has merit and what research has been done in this area. For example, New South Wales has a system for re-testing older drivers, whereas Victoria encourages older drivers to self-regulate their driving. When we look at crash statistics for these states, there is no difference in the level of road trauma for older drivers. There has been no other conclusive studies conducted that show re-testing makes people safer and reduces road trauma. Although the evidence doesn't point to driver training as the solution, we do understand people's frustrations. 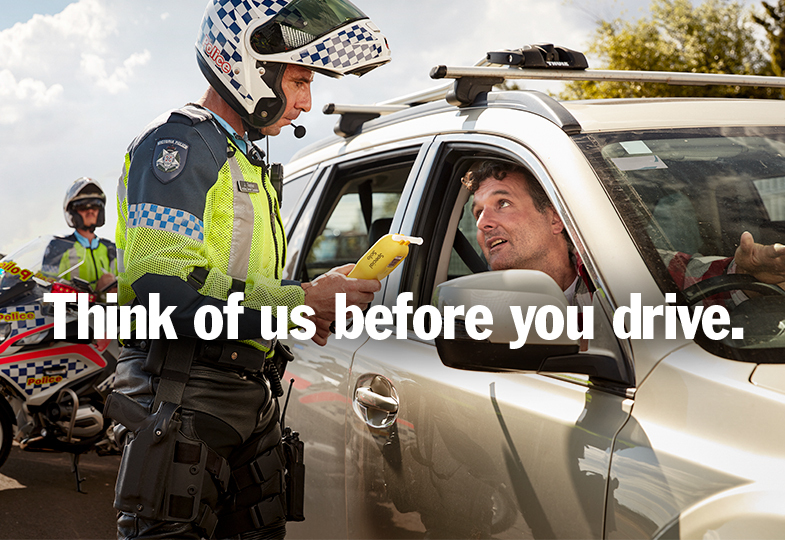 We want people to comply with road rules such as not driving when impaired by alcohol, drugs or tiredness and keeping within the posted speed limit. Part of our Towards Zero approach is that we share the responsibility for how we use the roads. Learn more about how safer people and our shared responsibility on the roads. When we look into crashes we find that driver skill is not a factor in the majority of cases, so providing too much emphasis on driving training - such as defensive driving courses - does not create better safety outcomes. It can lead to an increase in risky behaviours due to the perception among people that they are more skilled. 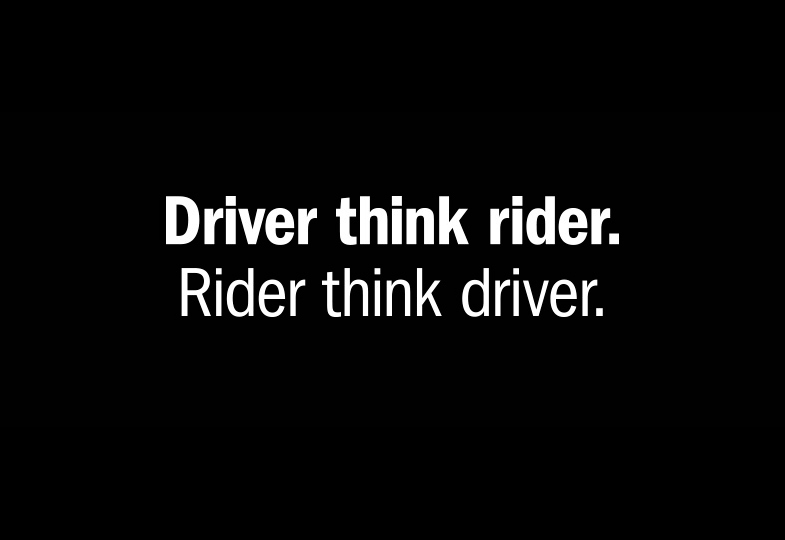 Safe driving behaviours are everyone's responsibility. They are best developed by parents and carers demonstrating safe behaviours and supporting their young drivers to comply with the graduated licensing system and the road rules. Drivers need to master basic car control skills and this can be achieved relatively quickly in real traffic environments, beginning from the Learner phase. From there 120 hours supervised practice with an experienced driver or instructor in diverse conditions, like driving at night or in the rain, is the best way to build up the necessary experience needed. Road safety education starts with parents when their children are in the car seat in the back of the car; it's as early as this we can start educating and developing safe drivers. The government has committed to a new young driver safety package that includes a practical safe driving program and a road safety education complex. These projects are under development and we'll be providing updates at towardszero.vic.gov.au as progress is made. In the meantime, the TAC has developed a range of road safety education programs for primary and secondary schools that line up with the stages of child development and match children and young people's experience of the roads and traffic. For example Fit to Drive is a Year 11 workshop focussing on passenger safety and issues faced as a new young driver. The Graduated Licensing System (GLS) focuses on beginning drivers getting plenty of supervised practise as a learner, which has been shown to reduce their risk of crashing when they get their Ps. There are lots of resources available for beginning drivers and their parents/carers that are all designed to keep them safe. Learn more about programs available at Road Safety Education Victoria or on the TAC websites focusing on Learner drivers and P platers. In 2014/15 road trauma affected more than 47,000 Victorians and it is this TAC charge that helps them through their recovery, including paying for medical treatment, rehabilitation services, disability services, income assistance, travel and household support services. Combined this amounted to $1.1 billion for the year. There is also no need to establish legal blame for the cause of a crash before someone can start receiving compensation, unlike other types of insurance. The amount the TAC pays for treatment and services is calculated per vehicle. If the TAC charge applied to each owner of a vehicle, the charge would be much higher and people who own fewer vehicles would be disadvantaged. Per person, it is calculated based on the type of vehicle, location that the vehicle is garaged and the registered owner (pensioners may be eligible for concessions, for example). Learn more about the TAC charge. The TAC has two main jobs: supporting people in their recovery after crashes and educating the public to prevent and reduce deaths and serious injuries on our roads. Last financial year (14/15) the TAC spent about $50m on road safety and marketing activities. This includes sponsorship activities which aim to reach out to Victorians with road safety messages and prevent further deaths and serious injuries on our roads. These and all of their public education activities have contributed to the marked downward trend in road trauma since TAC campaigns began 26 years ago. To put this amount into perspective, in 2014/15 the TAC provided more than $1.1 billion in benefits and support to people injured in transport accidents. Learn more about the TAC's activities in the annual report.